Here we have the box…small, black and very informative! Looking at the main tower, the Dark Rock Slim features 33 aluminium constructed fins with a small footprint. 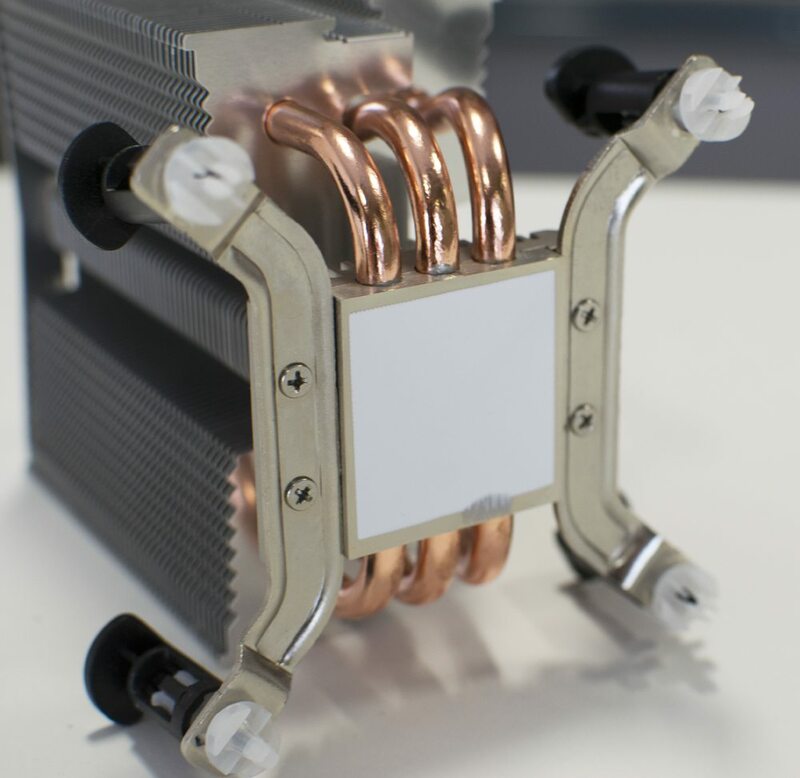 The cooler itself is 56.2 x 97 x 124.8mm in dimensions so this should easily fit in everything but the most hard-core of small HTPCs. 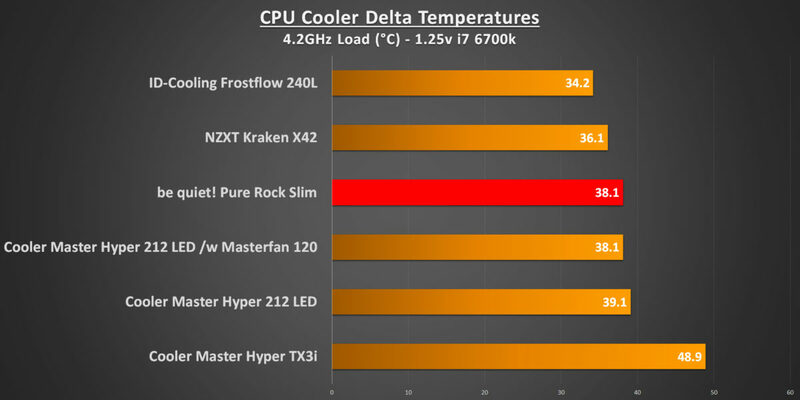 This makes the Dark Rock Slim one of the agilest coolers on the market, but also one of the best value options based on the specifications. On the base of the cooler, a thin layer of thermal paste has been pre-applied so unlike me, be careful not to get your fingers mucky! 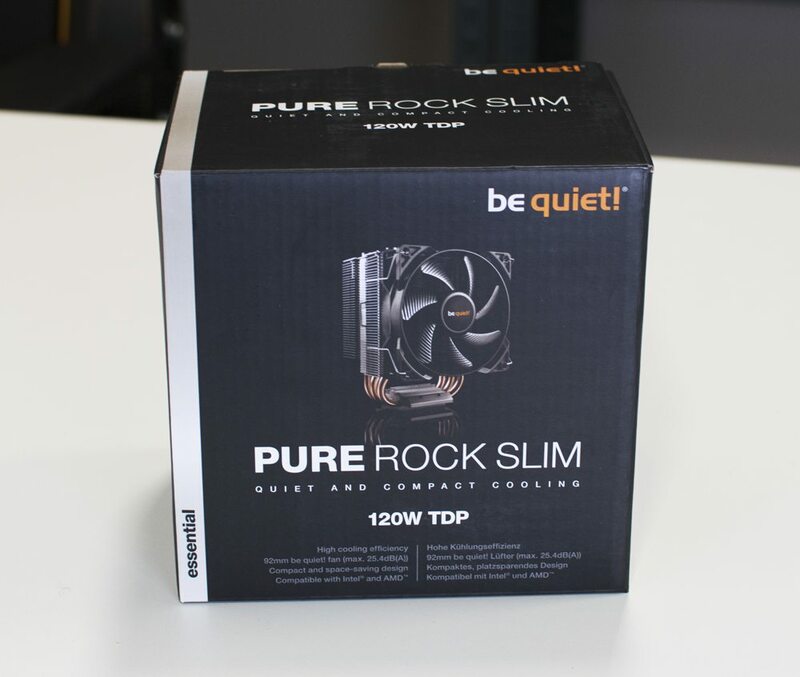 The Dark Rock Slim features 3 x 6mm copper heat pipes emanating from the copper base all the way through the fin array to provide an optimal cooling solution; it’s not direct contact, but for a cooler of this size and with a maximum TDP of 120w, it shouldn’t make much, if any difference at all. 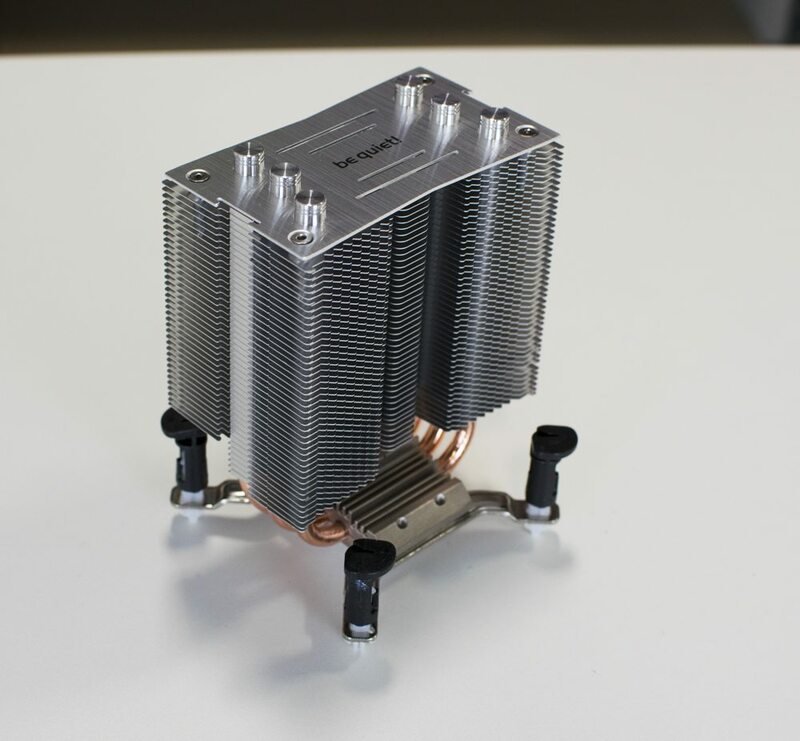 To install onto an Intel LGA socketed motherboard, it follows the same click and push principle as the regular Intel stock heatsink does. Simply line the plastic clips up with the mounting holes and push through until you hear a click; the click signifies it’s in place, but make sure you listen out for a click on each mounting clip! 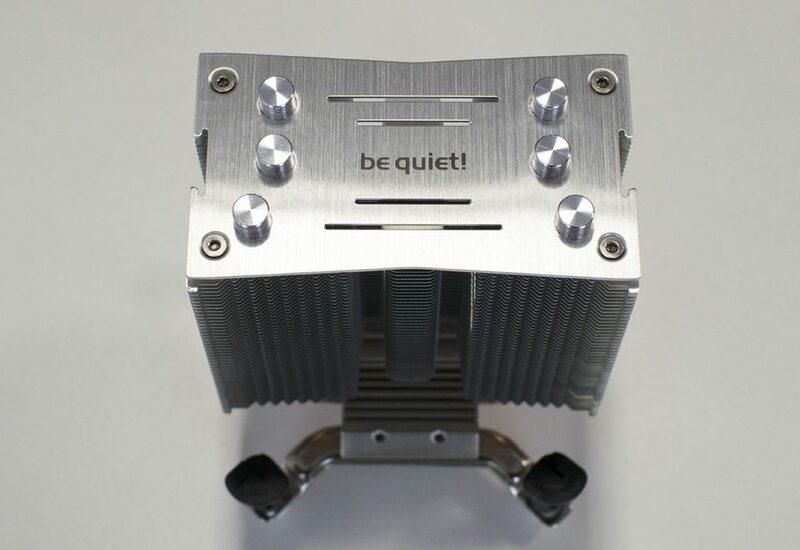 As you can see from the above results, the be quiet! 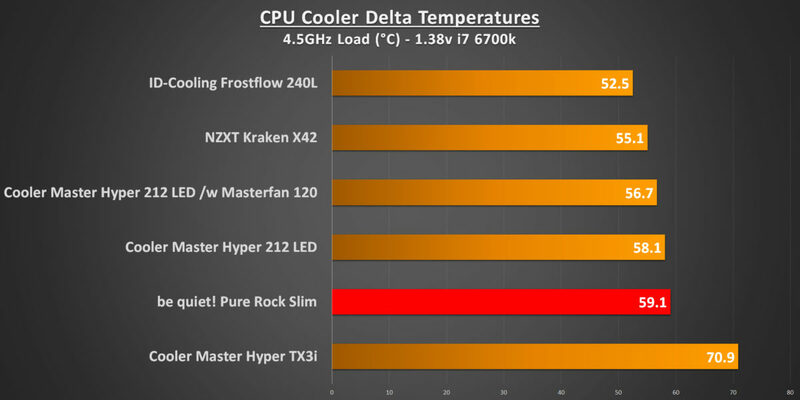 Pure Rock Slim is on par, Cooler Master Hyper 212 LED in most of the thermal testing, only being beaten at 4.5GHz (1.38v) by a single degree. 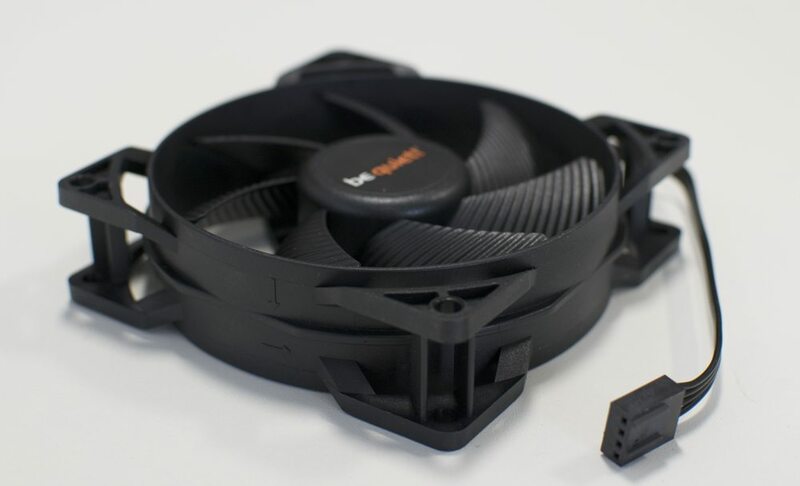 This is fantastic performance for a small sized cooler, especially given the £10 price difference…which you could save and purchase a tube of high-quality thermal compound to replace the stock paste with.